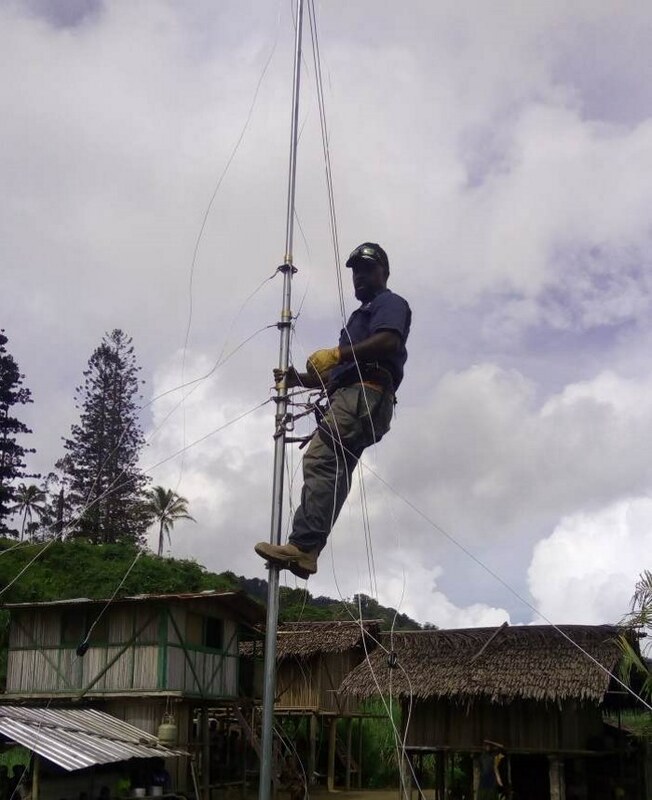 During the last few months of 2018, our radio installation team was busy installing HF Radios. Our team was split into three smaller groups: 1) Lukas Schadegg, 2) Michael Wakefield, and 3) David Feka and Gollinson Wena. 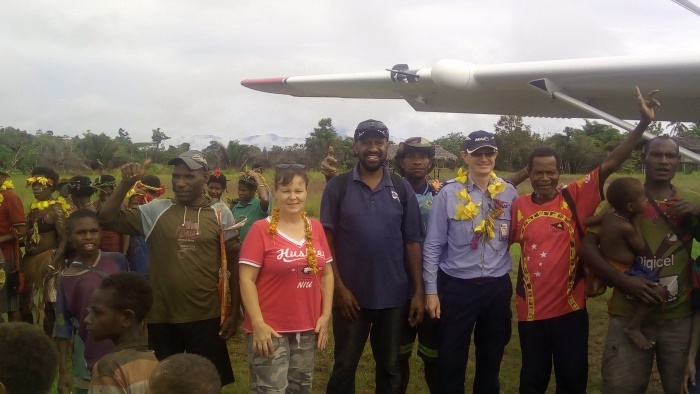 David and Gollinson traveled into several remote areas in West Sepik, Kabori and Kwieftim. Regardless of how well the team prepared beforehand, they still faced uncontrollable events and interferences, mainly bad weather, which caused many delayed trips. Yet despite many the issues that arose, it was amazing to watch God smooth everything out. 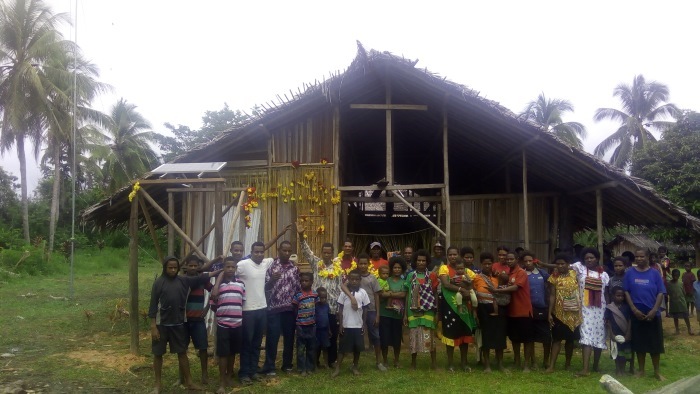 Kabori was the first area that our radio installation team completed an HF installation in. 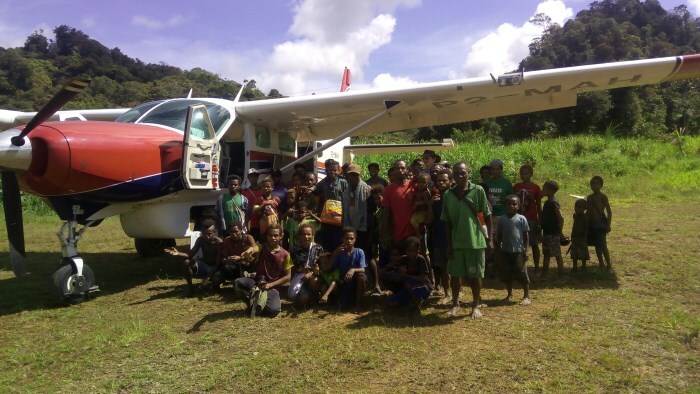 For the Kabori people, this was their first contact with people from the outside since their airstrip shut down 11 years ago, and for many of the younger generation, this was their first time to ever see a plane on their airstrip at all. 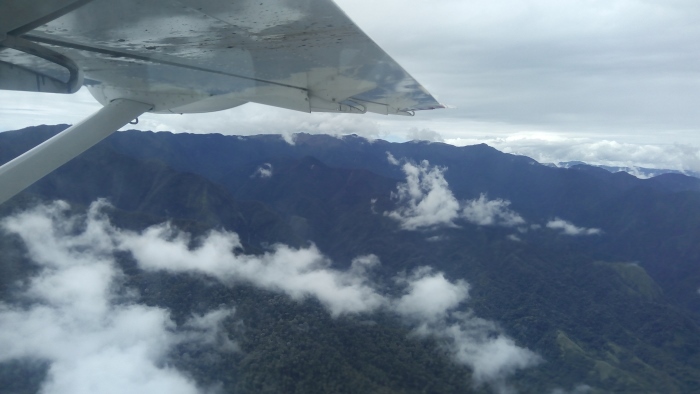 Kabori was once a large community filled with many villages and houses, but after the airstrip shut down along with the services it had once provided, many of the villagers scattered, leaving less than a 100 people in the area. 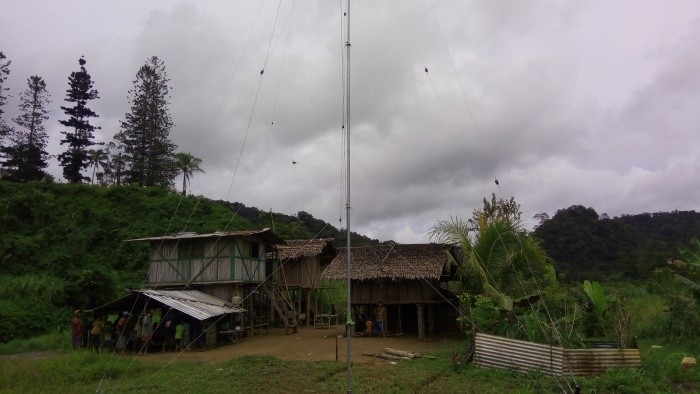 The installation of the HF Radio meant much to the Kabori People, not only for benefiting them, but also because it benefitted the nearby villages, bringing them together again. Kwieftim was another remote village where David and Gollinson did an HF Radio installation. 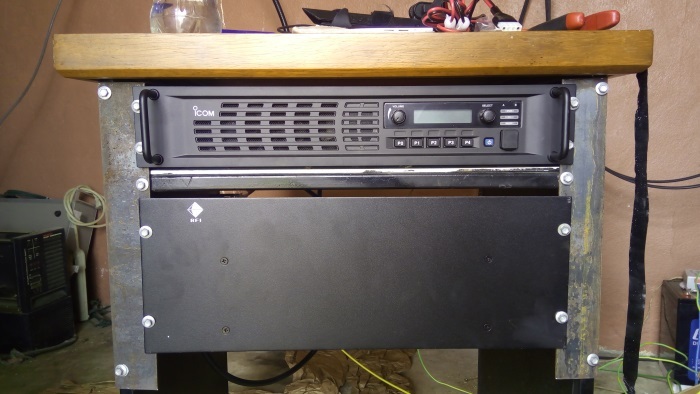 The installation team learned that this was Kwieftim’s first ever HF Radio. They gathered excitedly around David and Gollinson during the radio test, the children laughing and giggling when they heard the voice of our CRMF radio operator coming out of the small speakers. The villagers in Kwieftim were so appreciative and grateful for the HF Radio that they performed a “sing-sing” (celebratory dance) to thank our team. At the end of the day, our CRMF technicians were privileged to witness what a great blessing the HF Radio is to the remote areas. For many of these remote villages, the HF Radio is the only access they have to the outside world—the only way they can receive the services that they lack, such as hospitals. We are thankful to Mission Aviation Fellowship who flew our technicians during the whole installation process and fundraised to sponsor these radios for the local communities.